Sinister shelf clouds have been looming over Virginia for the past couple of days as thunderstorms continue to plague the region. The huge formations were hanging low over the state capital, Richmond, on Sunday afternoon, as shown in these images collected by WTVR. While shelf clouds are not dangerous, their threatening appearance is hardly conducive to a cheery atmosphere. Moreover, they are a reliable indicator that a thunderstorm is nearby and could be arriving soon. 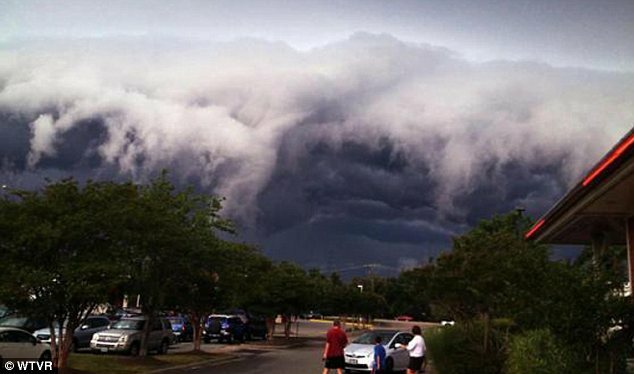 The mid-Atlantic area has experienced a large number of summer storms over the last few weeks. The storms have led to widespread power outages in Virginia, Maryland and Washington DC. On Sunday, tens of thousands of people in the Richmond area were left without electricity as numerous power lines were downed by falling trees. 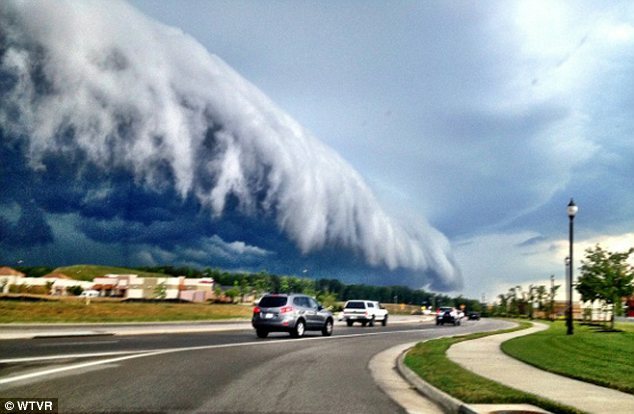 The shelf clouds which accompanied the storms are caused by caused by high winds and a front between warm and cool air. In particularly violent weather, shelf clouds can be so turbulent that they resemble tornadoes.